The online extravaganza has begun!! 10% off most items in the Annual Catalogue for 6 days only. 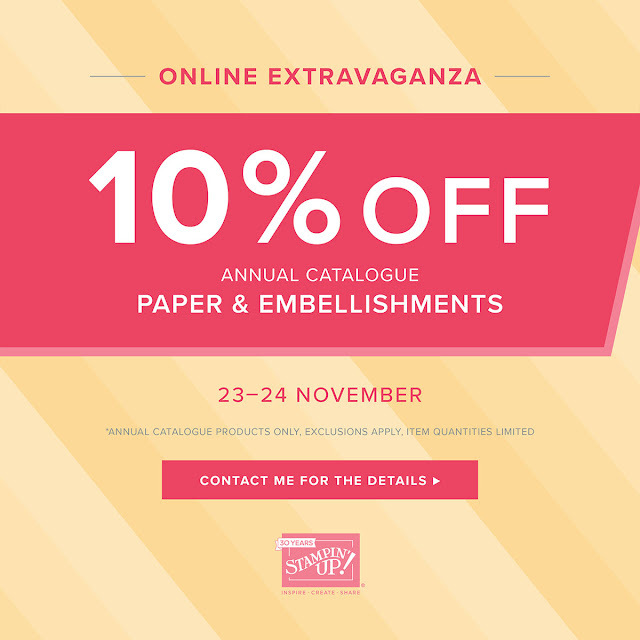 Today's deal - 10% off Paper and Embellishments - now is a great time to stock up on some of the basics. Remember this sale is for 48 hours only and ends 11.50pm (EDST) 24th November.